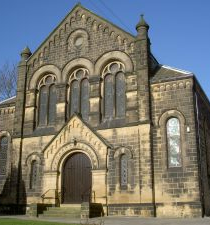 Baildon Methodist Church is a rapidly growing website that delivers daily news, messages, blog posts, church news and local community news to the Baildon and wider Bradford Communities. The Church also boasts both Facebook and Twitter pages as a means of reaching out for new followers and potential recruits to the Methodist community. Our mission is to provide the highest quality website content, concise information to help the local community. The site’s goal is to become the ‘go to’ resource for all things related to Baildon and its surrounding area as well as (Methodist) Church life and service. The Church now has an official web content group and dedicated marketing advisor. We hope this will increase public awareness of the church and the Baildon community as a whole, with a view to encouraging participation from village community. We hope to have fantastic new projects occurring on a regular basis and we are actively seeking partners and sponsors for these events. Check out the website regularly for the latest news and ways to get involved. There are many ways that you can place your business in front of our perpetually increasing, highly targeted audience. We have provided some of the more basic options below, but please do not hesitate to contact us should you require a bespoke marketing solution to fit with your current marketing plan. Also, our Media Pack is available to download from the image to the right. For more ideas, content or bigger solutions for your marketing requirements, contact our marketing department.